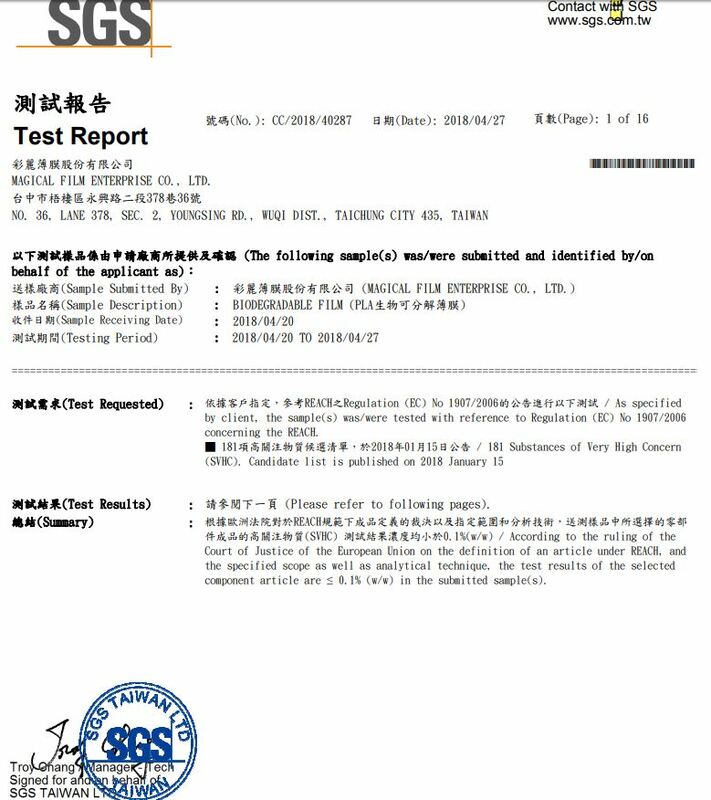 PLA, PETG, Lamination Packaging Film Manufacturer- MAGICAL. The PLA film is a bioplastic made from plants, with the thinnest thickness up to 25μ and its uniform thickness, good toughness, and good printing effect. 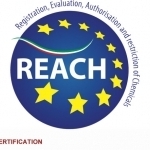 The certification of biodegradationbt REACH was received on April 2018. For more information regarding with this product, please go to http://magicalfilm.com.tw/product/ins.php?index_id=16&index_m_id=0 .